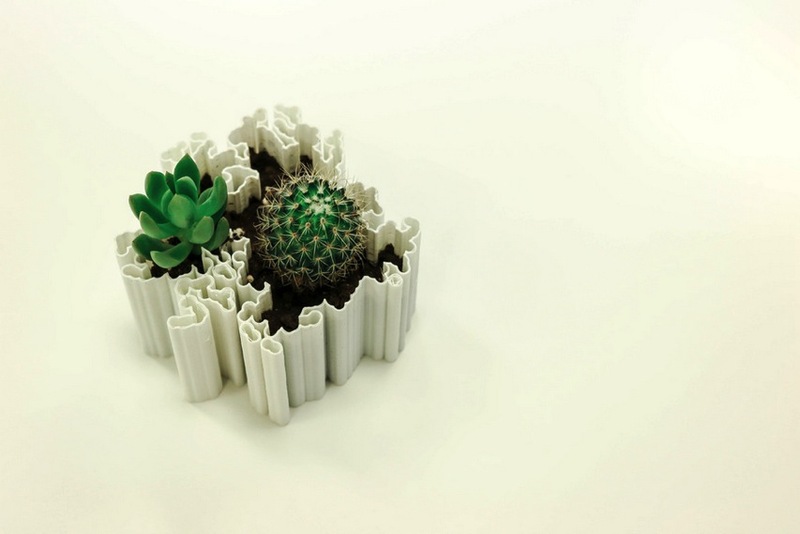 3D Design Tips – Trede draws on Art x Science x Mathematics to produce “Dendritas” Planters #3DxNature #3DThursday #3DPrinting « Adafruit Industries – Makers, hackers, artists, designers and engineers! Dendritas created by Tredé in Puerto Rico. Check out these designs and then dig in deeper to learn how artist Vicente Gascó‘s parametric design research (and Diffusion-Limited Aggregation) have lead to these complex, natural formations in his site here. He drew on fractal/mathematical research used to explore shapes such as corals, brains, tree roots and more. 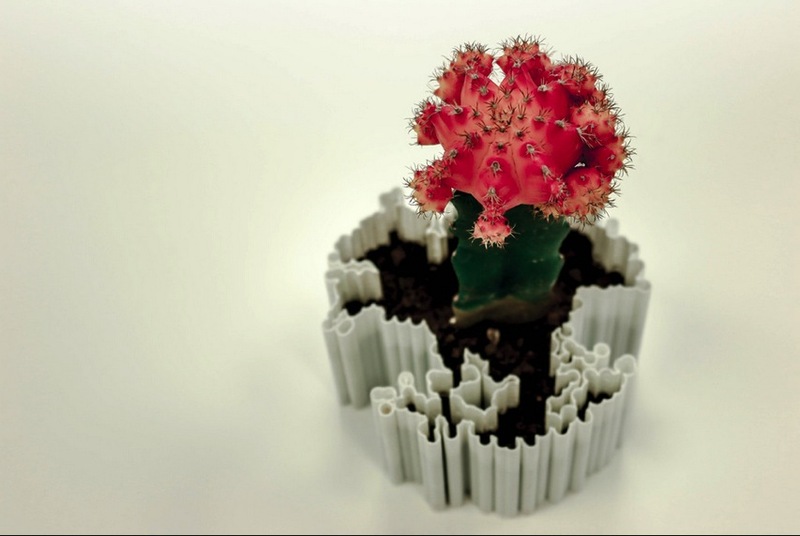 Dendritas is a 3d printed flower planter / household container and part of a generative design research exploring the intersection of art, science and mathematics. Dendrites are part of Diffusion-Limited Aggregation, introduced in 1981 by Witten and Sander, a fractal growth algorithmic model which produces forms frequently found in living and non-living nature. Forms produced are similar to certain corals, crystals, brains, tree roots, veins, etc. Dendritas was recently exhibited in ‘Santurce es Ley 5’, a local Puertorican art festival. 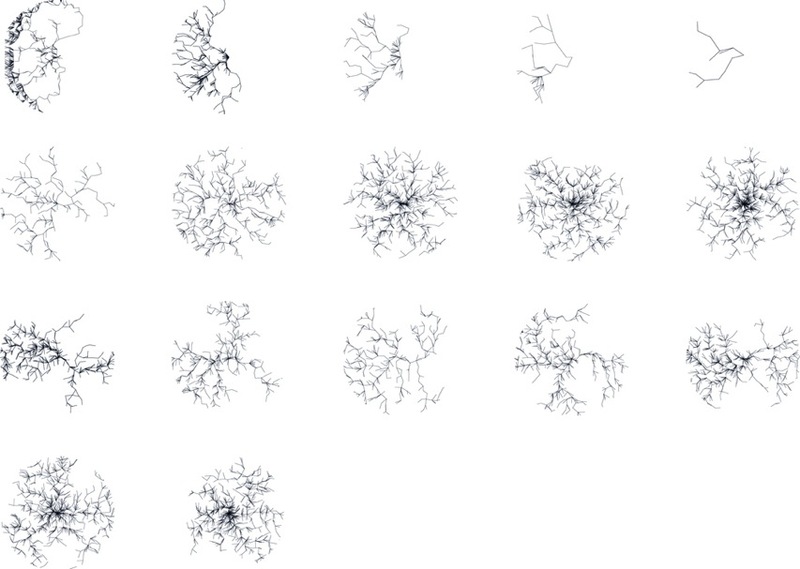 Dendrites are part of Diffusion-Limited Aggregation, introduced in 1981 by Witten and Sander, a fractal growth algorithmic model which produces forms frequently found in living and non-living nature. Forms produced are similar to certain corals, crystals, brains, tree roots, veins, etc. Based on Daniel Piker’s DLA explorations, the parametric algorithm programmed in Rhinoceros plug-in, Grasshopper, aims to generate a design scheme, variations and outcome to what could further become a design language to generate products such as jewellery, wearables, vases, etc.